Flow Meters widely used for various measurement applications and is very easy to install. The meters are rugged, reliable & precise instruments suitable for all industrial chemicals, fuels etc. 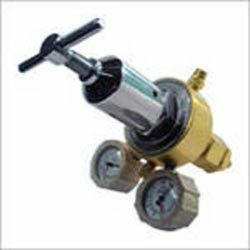 we manufacture and supply these flow meters which become most popular as these are capable to measure flow very accurately and are available in various technical specifications as per the requirements of clients. These products are highly known for being durable, exceptionally performing and durability. We hold expertise in offering BPC Flow meter. The products offered by us are available in assorted specifications so as to fulfill the needs of customers. These products are designed from the supreme class basic material & latest techniques in accordance with the set norms. This is a compact flow regulator for "A" Type & "B" Type cylinder. Looking for Medical Oxygen Flow Meters ?